A “whoops, wrong day” scheduling misunderstanding meant I could not take Tony and his son, Nick, to the Somalian place I had planned for them as I’d had lunch there about six hours before. So off we went, ending up – after a bit of to-ing and fro-ing on my part – in Essex Street. CTS has written bout Ebi a number of times – the last more than a year ago when new management had recently taken over. But we’re happy to do so again in order reassure readers that things are running smoothly and Ebi is still, well, very much Ebi. 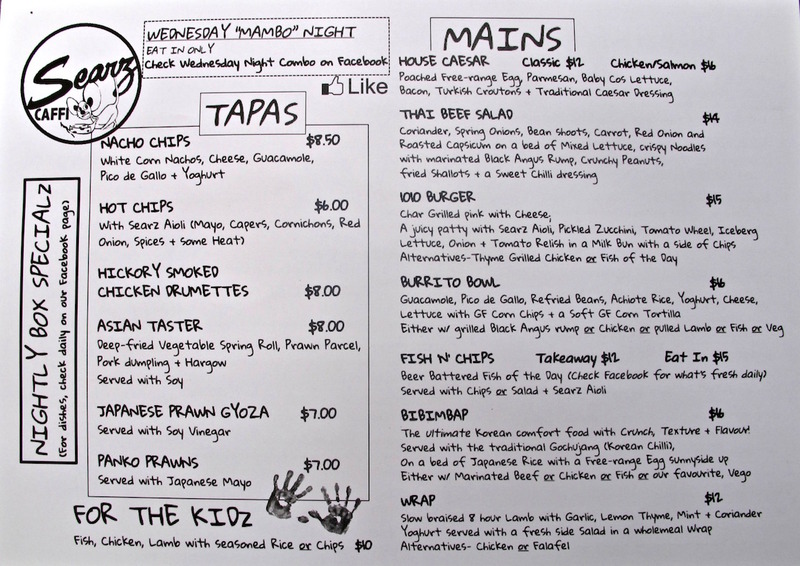 The menu, and the specials board, appear to be unchanged. The staff are smiling and engaging. At first, early on a Saturday evening, we were seated outside, but it was a little on the chilly side so when bar stools became available we were happily ushered inside. 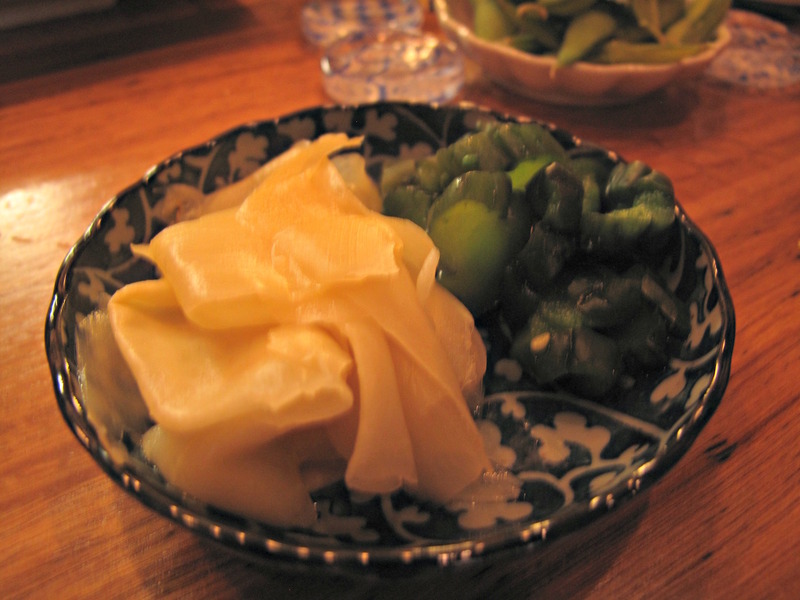 Most importantly, the all-important attention to details – things such as a crisp lotus root chips and the many kinds of pickle – remain very much in evidence. I turned my back on the superb Ebi fish and chips I have been eating here for years and chose instead the chicken katsu curry rice bowl ($17). 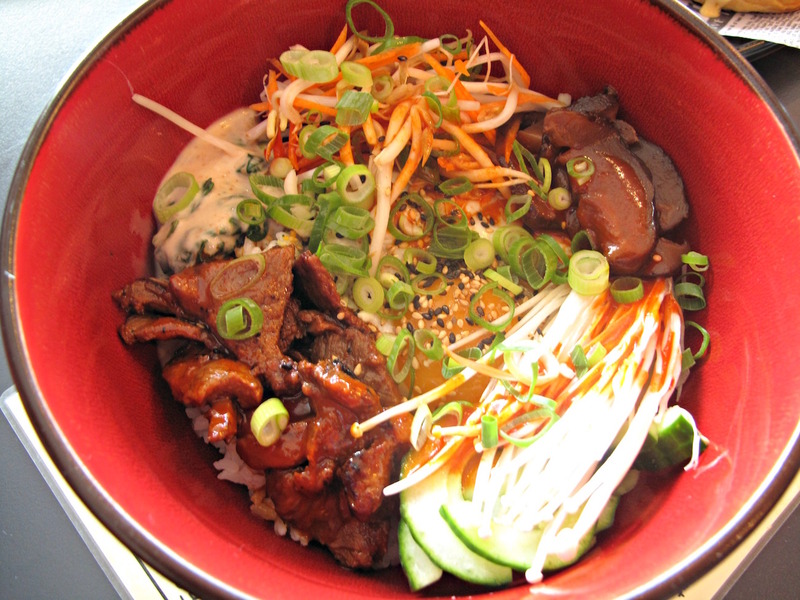 It was sooooo good – pretty much the best Japanese rice-bowl meal I’ve ever had. Rich curry gravy boosted by a tantalising just-right whiff of bonito flakes, lots of pickles and lots of perfectly cooked, crunchy chook, the equilibrium between rice/gravy/chicken balanced so all “run out” at precisely the same time. 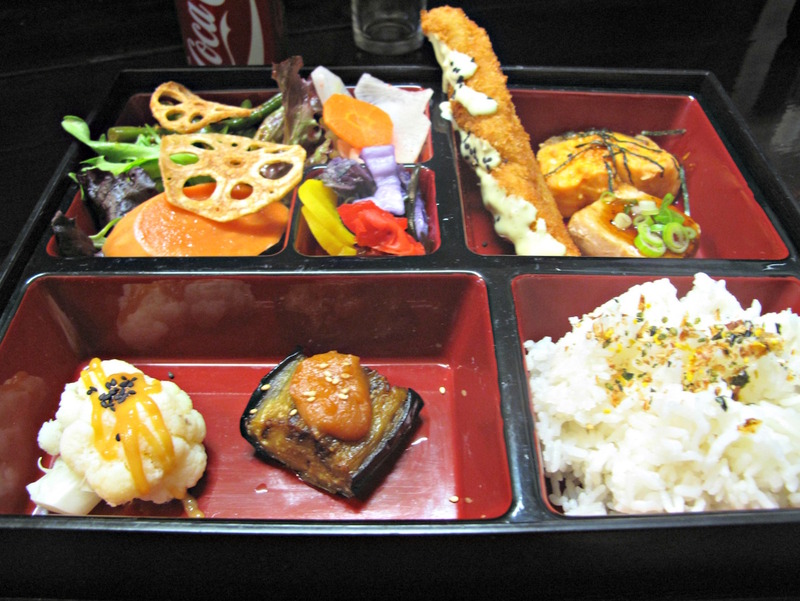 My friends’ choices of the fish-three-ways bento and the chilli prawn bento (both $19) seemed the usual Ebi spot-on. 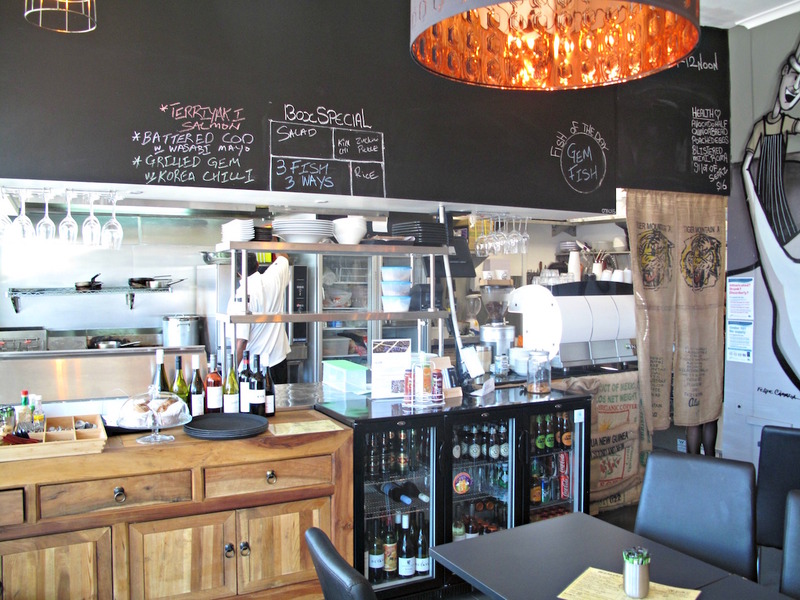 What a gem this is – small, friendly, neighbourly and miles from any of the established food strips. I really enjoyed seeing somewhere so familiar, however briefly, through the eyes of visitors to the west. 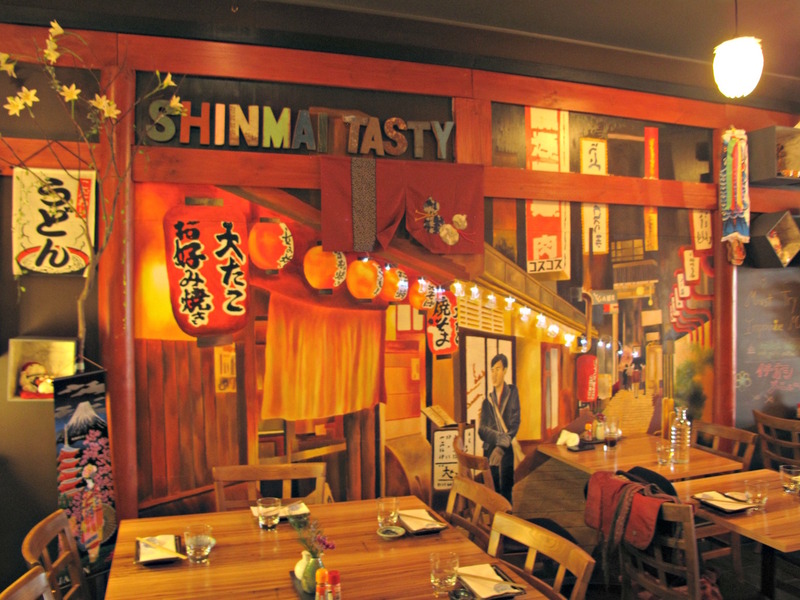 Returning to Shinmai Tasty (44 Edgewater Boulevard, Maribyrnong, phone 9317 3830) for the first time since hitting the place with a gaggle of pals, I am intent on nothing more than quiet, solo lunch away from the cold. 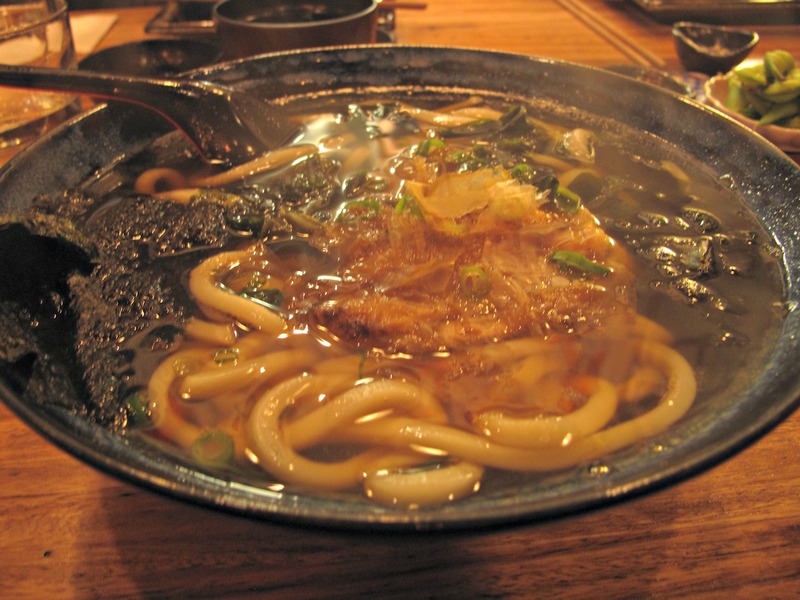 Most of all, I am intent on having – again – the place’s fabulous soy udon soup chicken. 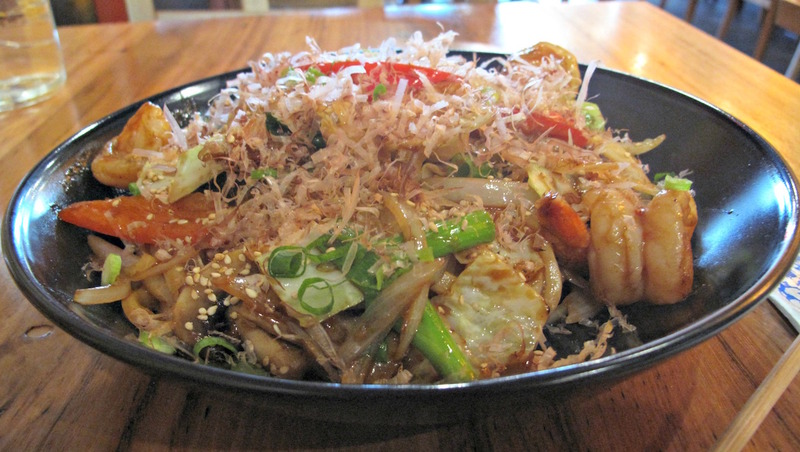 Instead, I am seduced by the menu’s other wok noodle dish – garlic and ginger prawn yaki udon ($18.50). Topped with bonito flakes, it tastes every bit as delicious as it looks pretty – though in truth, I detect little by way of the advertised ginger or garlic. The tips-on prawn tails number five – they are fat, fabulous and of great flavour; they have that terrific prawn poppy thing going on in spades. The udon noodles, joined by spring onion, capsicum pieces and onion slivers, are covered in a sticky and quite oily sauce. It’s an excellent lunch in an excellent place. Once again, I marvel at how a newish establishment – with its cosy decor and magnificent artwork – has created such an attractive and welcoming western suburbs hidey hole. 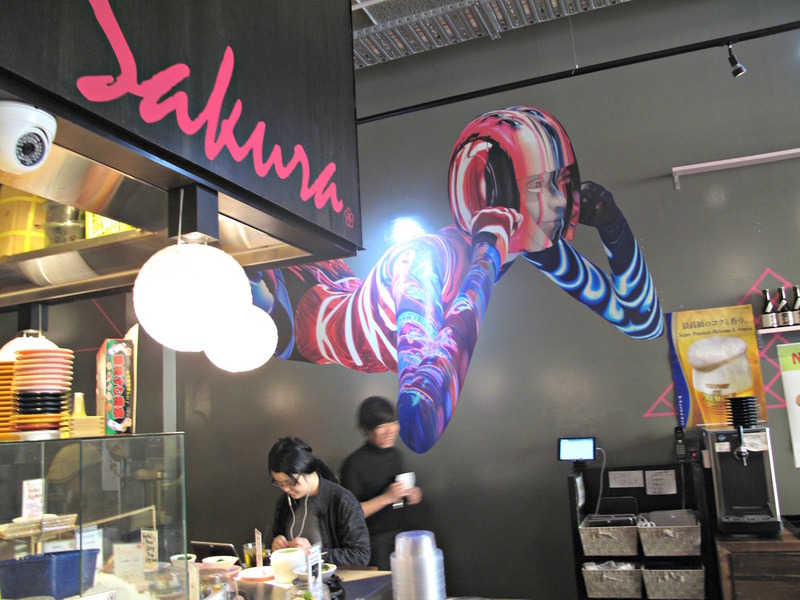 Sakura Kaiten Sushi II, 282 Lonsdale Street, Melbourne. Phone: 9077 1167. 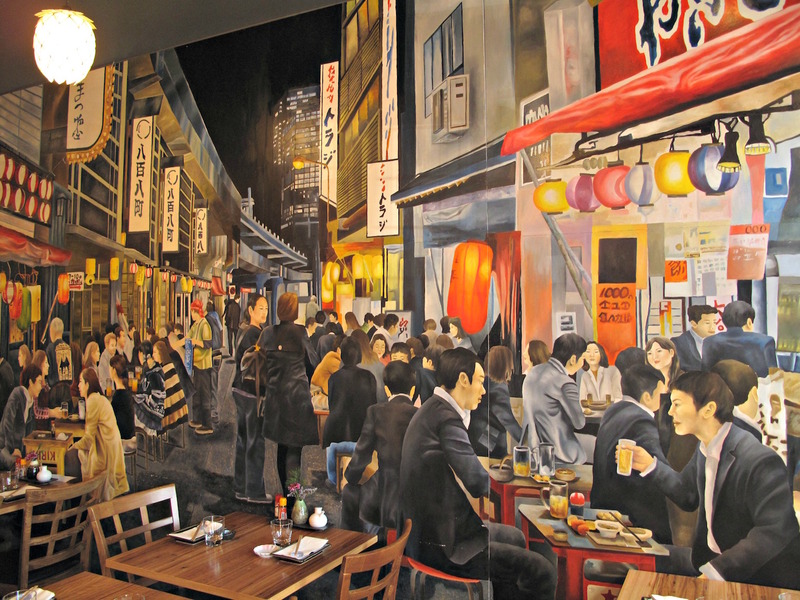 Our visit to this Japanese eatery is one of those random things – we could’ve ended up anywhere in the guts of the CBD and in and around Chinatown. But we are happy with our impulsive decision. 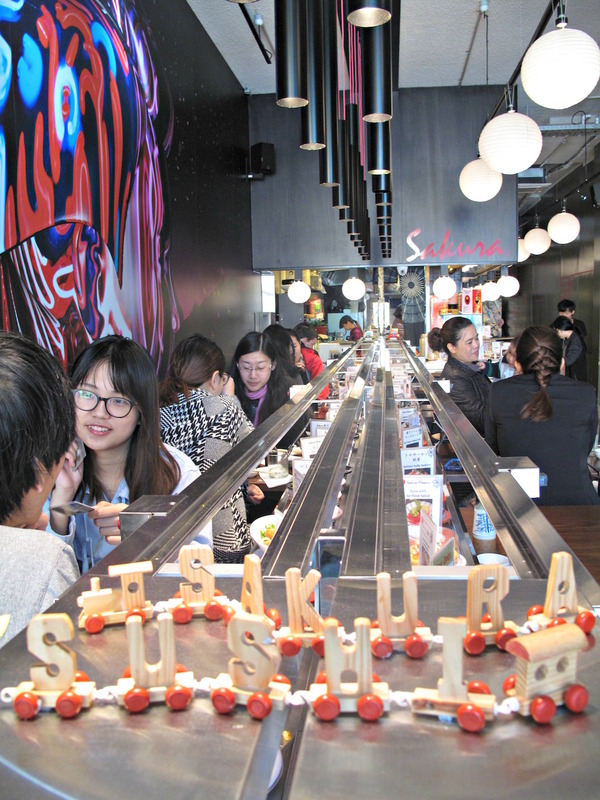 Owing to our previous familiarity with this place’s competition around the corner, we are well acquainted with the ins and outs of sushi trains. 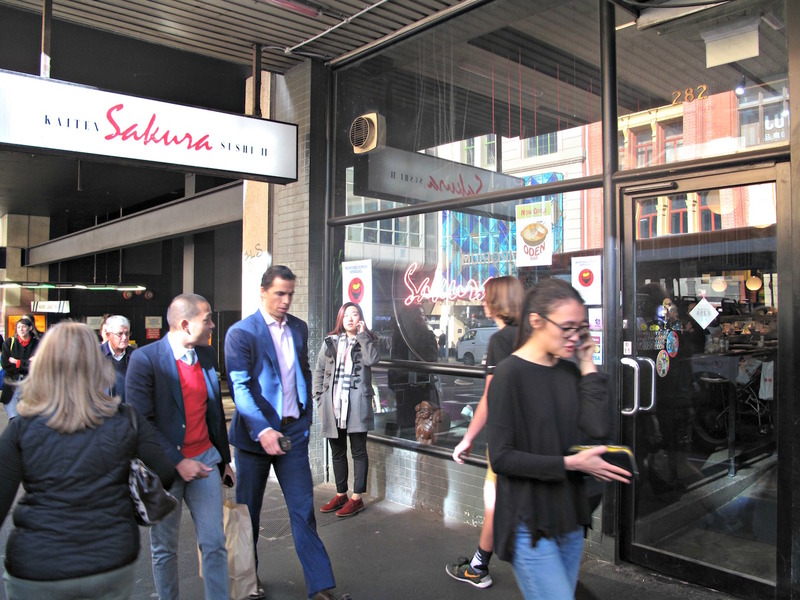 And we imagine it’s that other place’s pricing regime and that of the area in general that help make Sakura Kaiten Sushi II – apparently there’s another branch in Little Collins Street – so affordable. 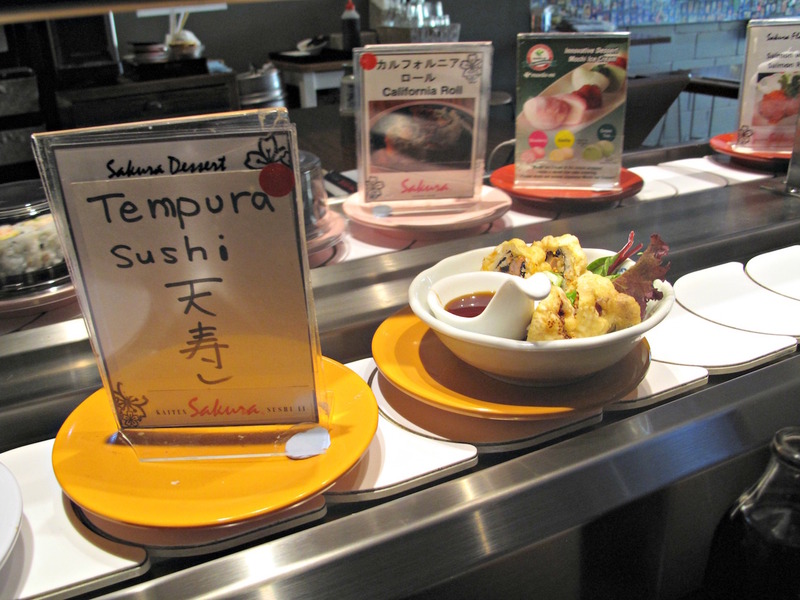 But Sakura Kaiten Sushi II has a few wrinkles that are new to us. 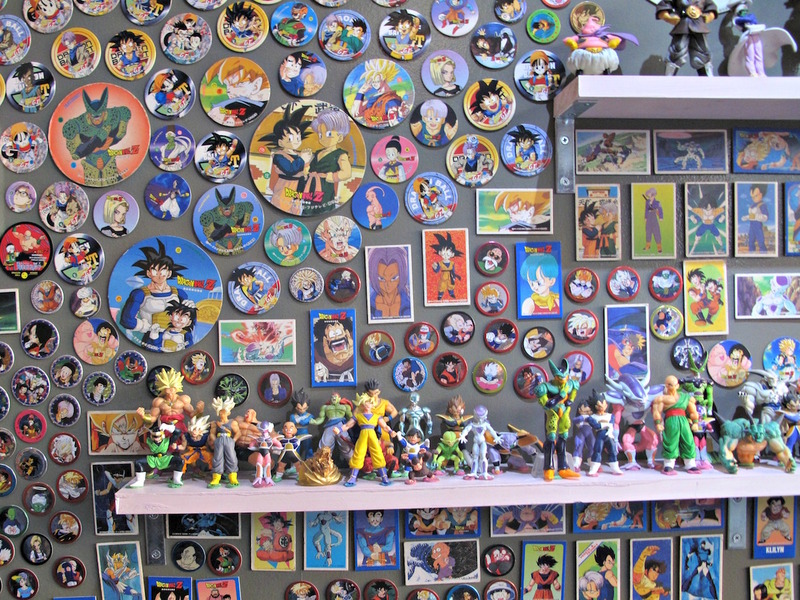 For starters, the place is something of a shrine to Japanese pop culture. 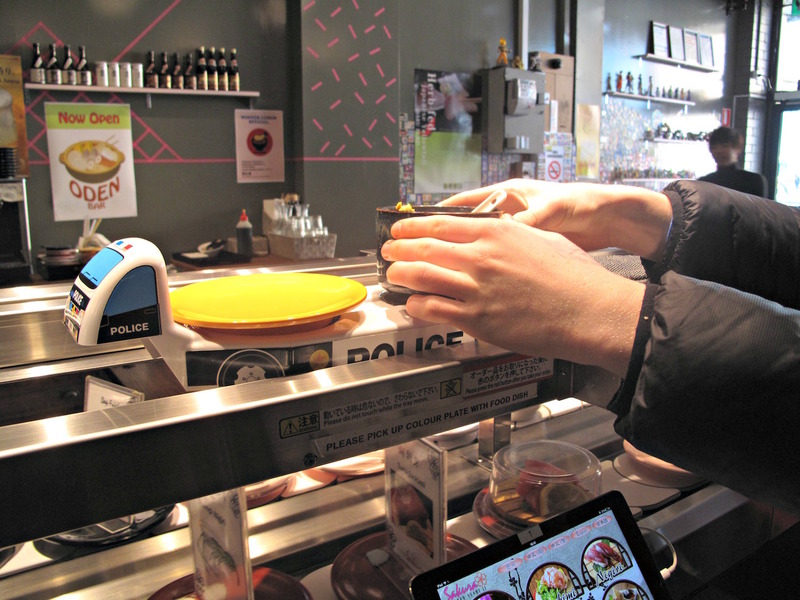 And in addition to the regular sushi train goodies trundling by at a measured pace, there is an elevated rail line that carries items ordered by iPad and freshly prepared in the kitchen. These are delivered by two express trains – one of the cop variety (our side), the other of the firefighting kind (the other side). I think it would take very many visits to not find the whizzing by of these two trains, silent and stealthy, as somewhat unsettling. Again, I think it would take several visits to really get a handle on what is good, what is not and what is marvellous. Low prices are not everything. But marvellous I suspect there is, simply based on the high turnover and the number of staff – both front of house and in the kitchen – taking care of business. We enjoy our visit – we have some good stuff and enjoy the novelty value very much. My first visit to Shinmai Tasty, the new Japanese eatery at Edgewater, was meant to be all about reconnaissance* – checking the joint out for a more in-depth subsequent look with more people on hand. 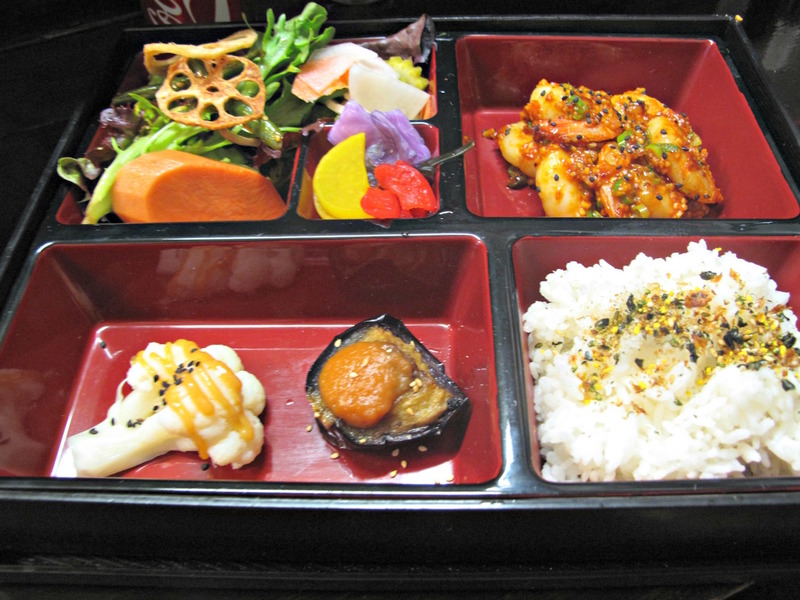 I had a lovely lunch, though to be truthful its three elements were enjoyed as something of a mixed bag – miso soup (OK but not great), bento (OK but not great) and dessert (sensational). But there was something about the place and its happy, obliging staff that made me hasten about organising that return visit. 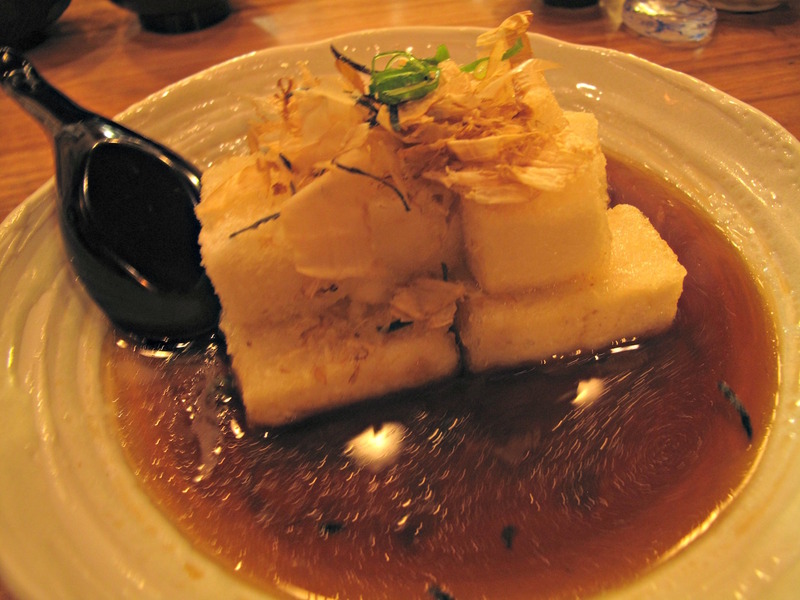 I felt a buzz of real excitement and an urgent desire to explore the menu in much greater depth. 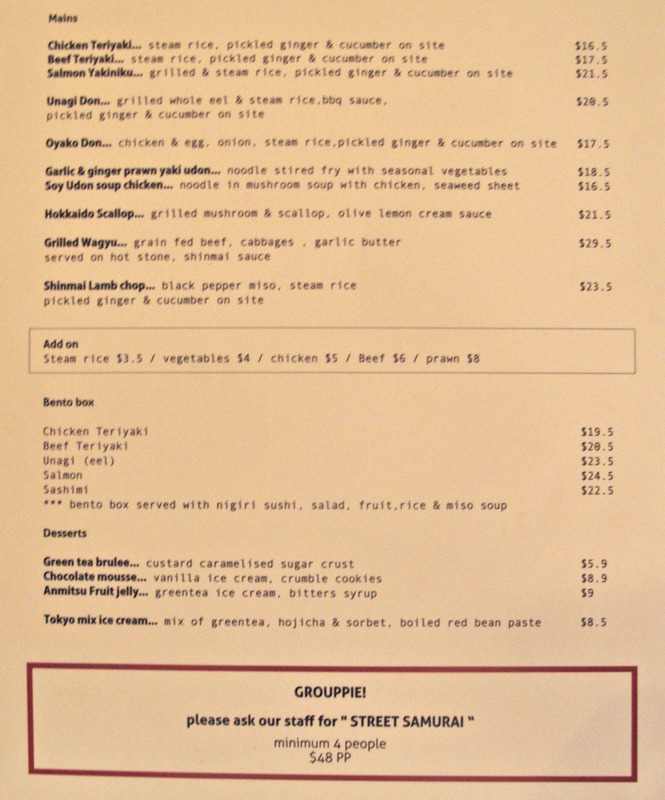 That menu is a smartly devised two-page affair that runs fromh sushi and sashimi and starters through to salads, mains, bentos and dessert. 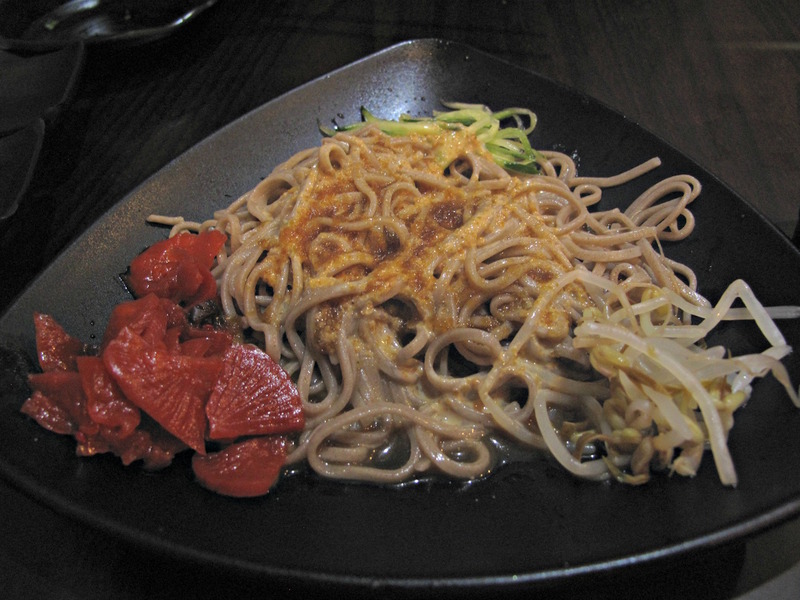 There are many classic dishes to be had and a few that appeal through unusuality. But my excitement was based around more than that – it was and is also very much about the decor and the fabulous artwork. The dining room is long, with one whole wall – opposite the bar/bench seating – adorned with two utterly gorgeous murals. Normally, as regular readers well know, decor and artwork aren’t high on the CTS agenda. 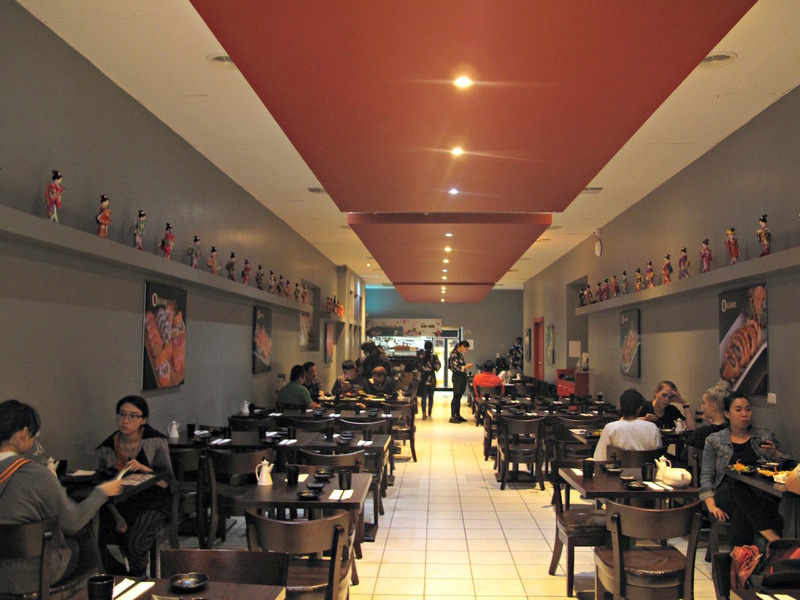 But in this case they have massive impact, being wonderful eye candy on the one hand and bespeaking, on the other, a determination to provide an all-inclusive environment to enjoy eating Japanese food. 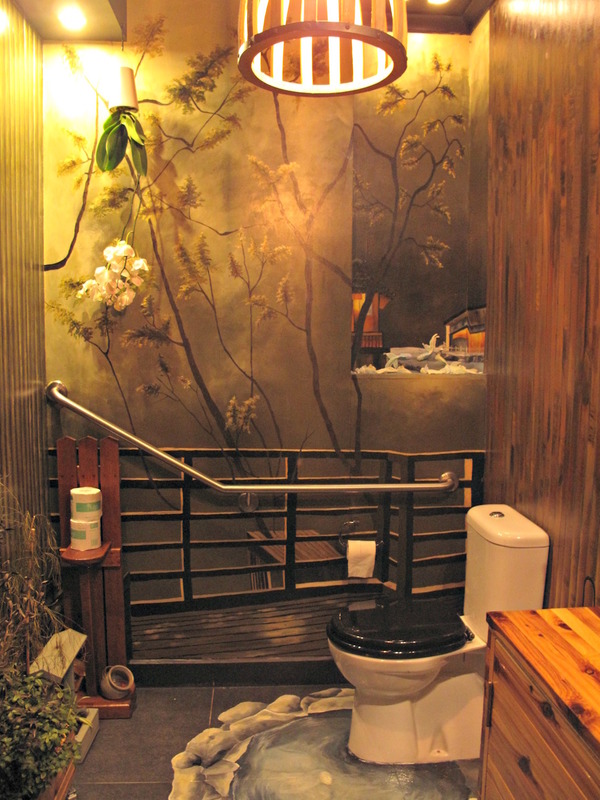 The art approach even extends to the loo (see below)! Obviously, I am no expert on Japanese art of any kind, so I know not if this style of painting has a name. It’s not in the manga or anime style, though I do detect a connection with the settings portrayed in the Studio Ghibli films. Here’s a round-up of what was tried over both visits – luckily I booked for the second, as it ended up with a group of seven (including myself) that made merry during a busy Mother’s Day lunch session. 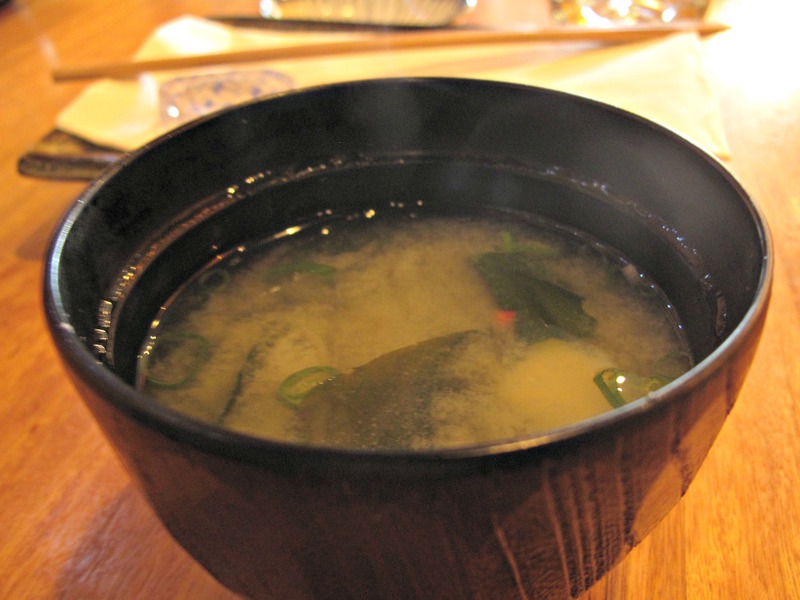 Miso soup ($3.50 but served free with bentos) – very nice without being great, but certainly packed with lots of seaweed and very fine tofu cubes. Nasu kara chips ($8.50) – just as well several serves of these eggplant chips were ordered as they proved a big hit and were, to my mind, stupendously fine. 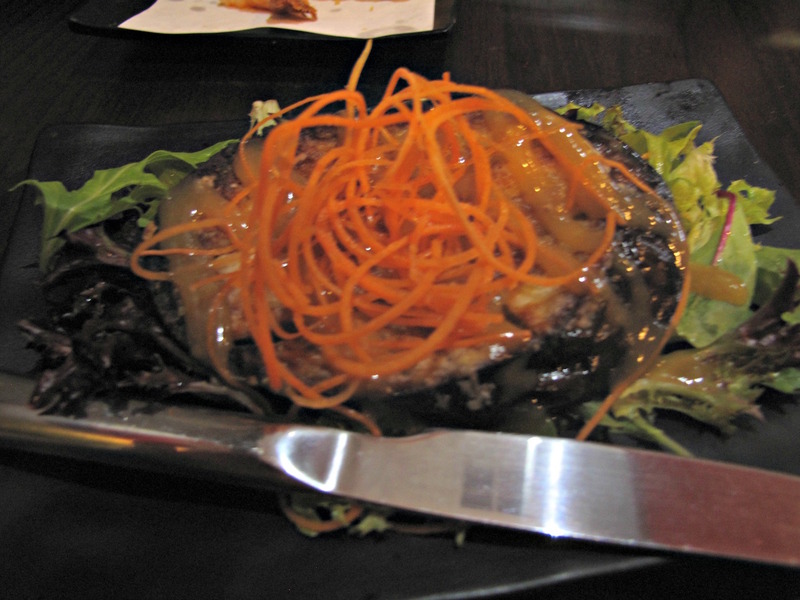 The tempura batter was very good and the long eggplant strands within cooked to molten, delicious perfection. Served with mayo and dusted with just the right amount of chilli powder. 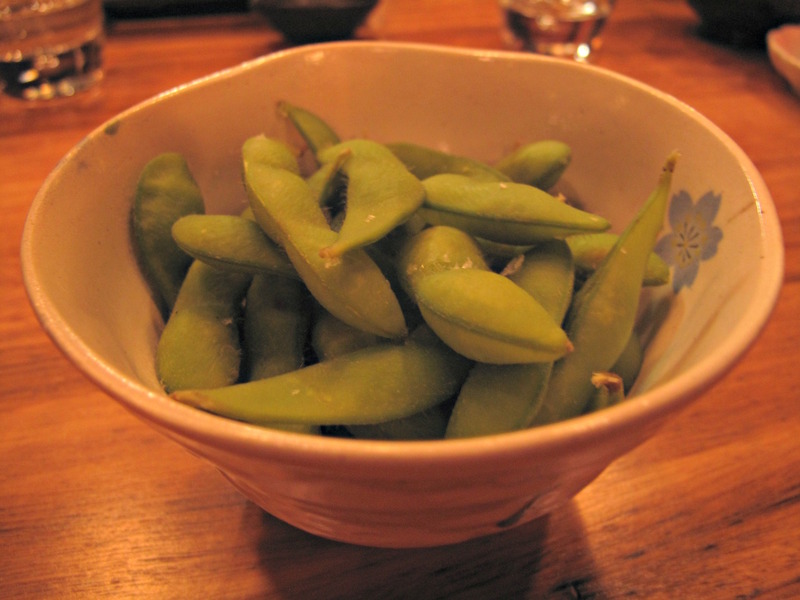 Edemame ($5) – salt-spirinkled soy beans, a nice snacky diversion for us all as we awaited our more serious, substantial fare. 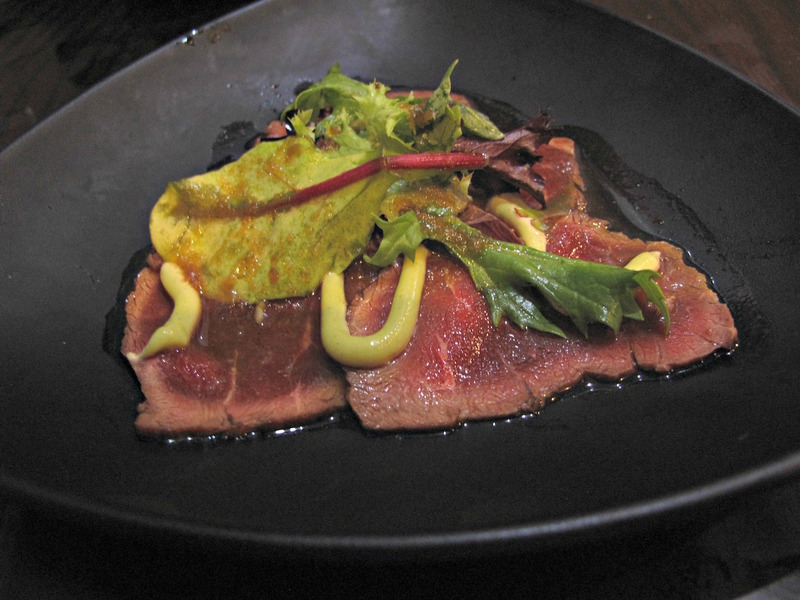 Wagyu beef tataki ($16.50) – I am used to beef tataki variations being heavily marinated, very garlicky and (usually) served with a raw egg. This was something different and lighter, the beautiful beef having something of citrus tang about it. … the mixed tempura ($14.50), but the very happy recipient of both could hardly have been more emphatic in declaring both outright winners. The sushi fan orderers of the mixed sushi/shashimi ($38) were a little underwhelmed. Big tick for the sashimi; “indifferent” the word used to describe the sushi. 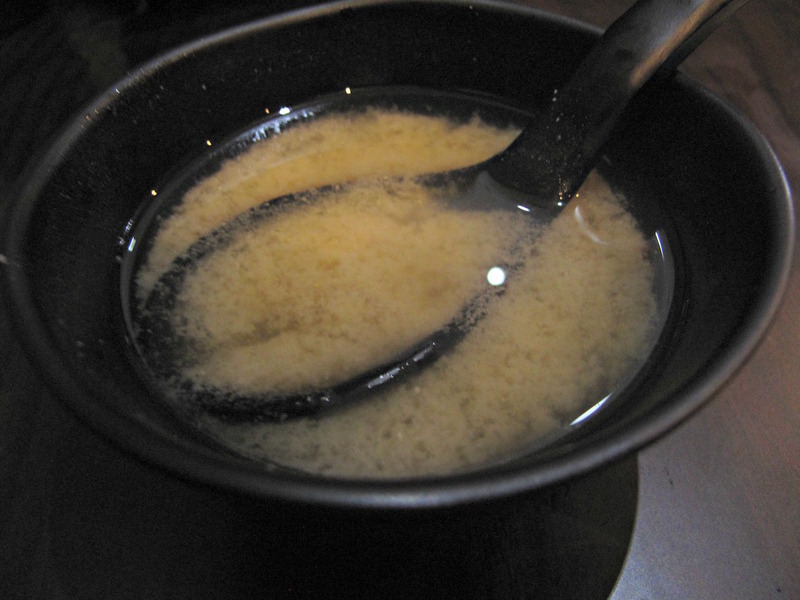 My soy udon soup chicken ($16.50) was superb, with super broth that was both delicate and robustly flavoured. Along with the fat, slippery noodles and a goodly amount of seaweed, right there in the middle was a whole chicken thigh – a first for me, that I can recall, in a lifetime of eating soup noodles of various kinds. I wondered how I was going to eat it – but it was so beautifully cooked, not to mention supremely tasty, that I had no trouble getting the meat from the bones. On the first visit, I enjoyed the sashimi bento ($22.50) with its OK sushi, fine sashimi, very enjoyable sushi rice, seaweed salad, grapes and unmemorable salady bits. 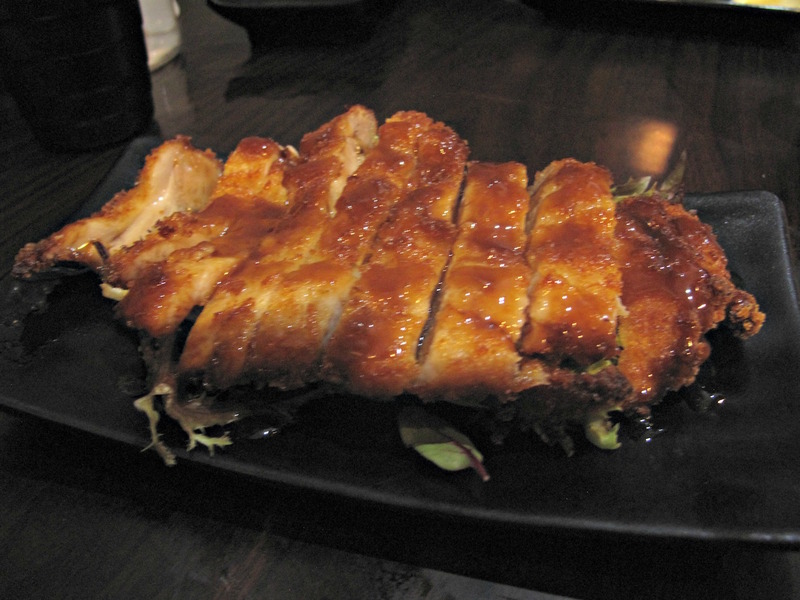 … unagi (eel, $23.50) varieties, with their respective owners all happy with their lots. 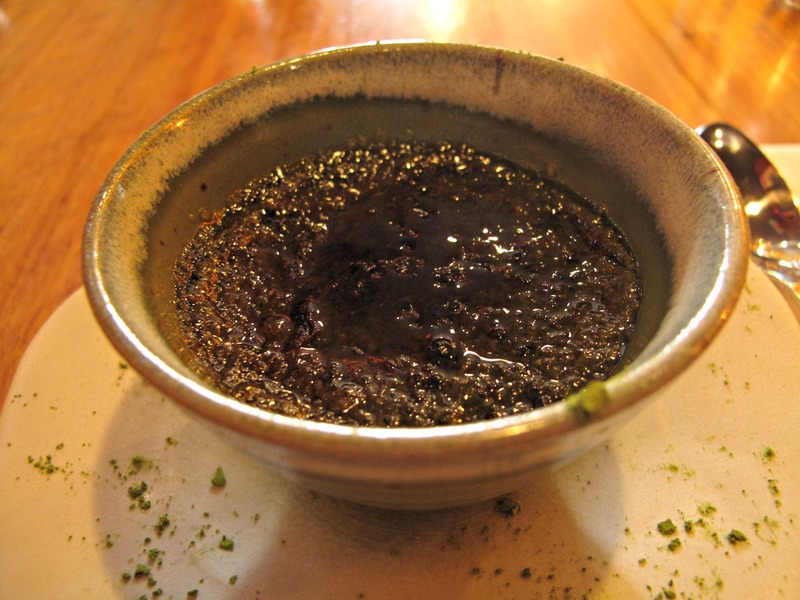 First time around, I was presented with a complementary green tea brulee that I was, in any case, preparing to order! I loved it then – so creamy and scrumptious, and an outright bargain at $5.90. Those we ordered for our Sunday lunch were a little below that standard, being – to our collective mind – a little grainy in the texture department. Still, I’d order it again in a heartbeat! 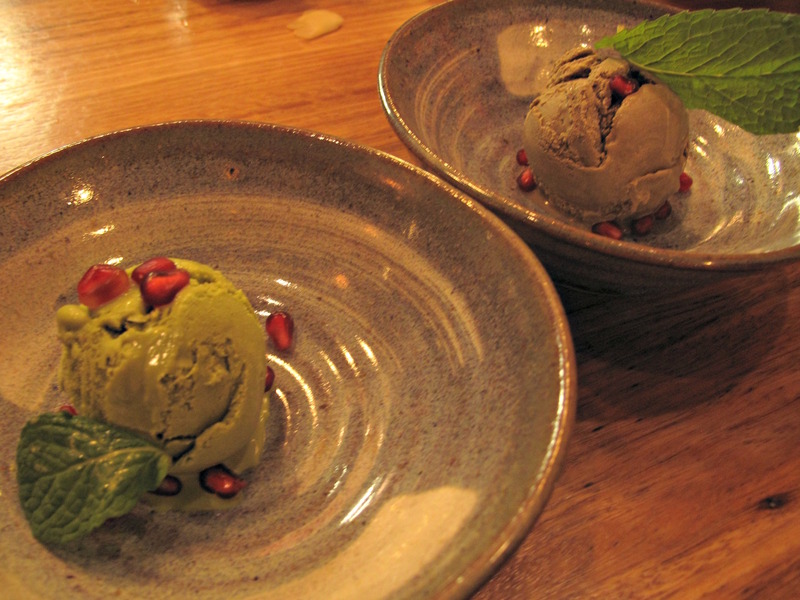 The green tea and hojicha (another variety of (roasted) green tea) ice-creams we are presented without ordering or paying were fine. Maybe because it was Mother’s Day, maybe because we were a largish group, maybe because they’d figured out a blogger/reviewer was part of that group. I say the above merely to make clear that the mileage of individual patrons and groups may vary in this regard. 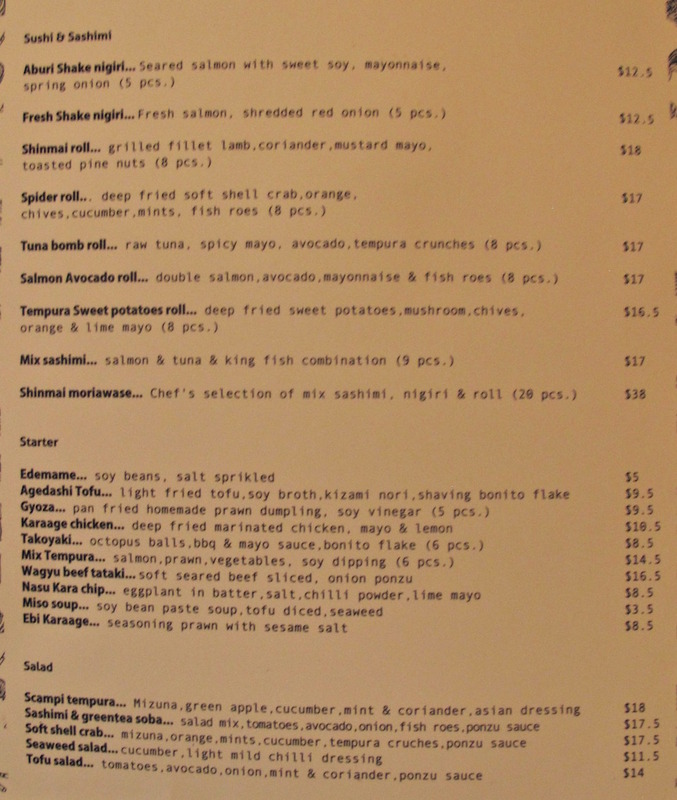 As, I hope, the above words make clear, not everything we tried at Shinmai Tasty unequivocally hit the spot. But some dishes did just that. We reckon this is a very welcome addition to the Japanese options available in the western suburbs and, in fact, fits in right nicely with the likes of Chiba, Ebi and Ajitoya. My heartfelt thanks to Liana, Dev, Christine, Julian, Eliza and Josh for enabling such an in-depth story! *Haha – I can’t believe spelt that word correctly first time! “It was a bit shopping centre,” he replies after a moment of pondering. 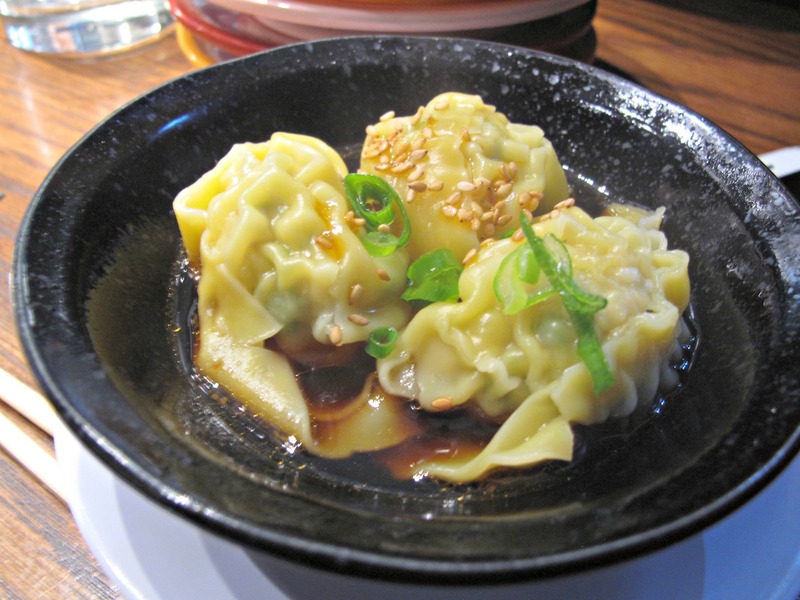 Okami replaces 1 + 1 Dumpling Noodles on Hopkins Street, right in the guts of Footscray. 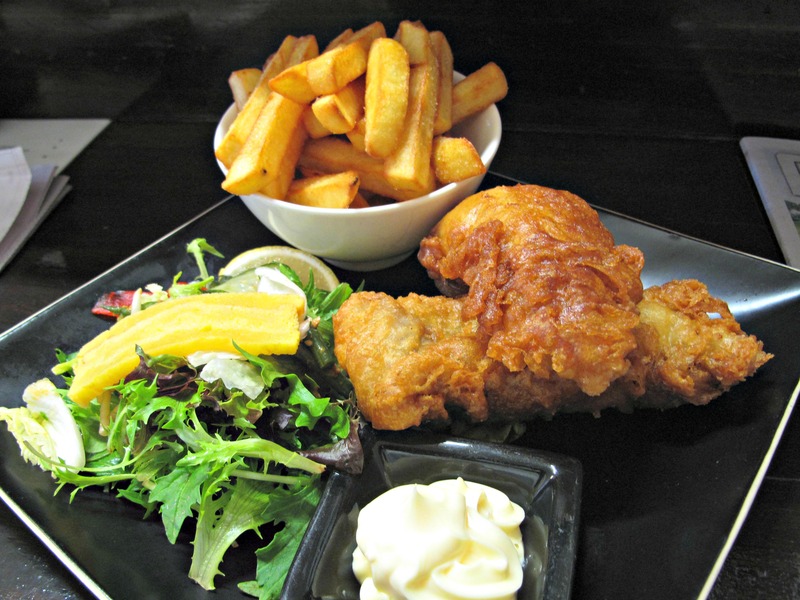 It is a sister restaurant to establishments in Hampton, Caulfield and Wantirna. The place has been done over in a rather nice and sleek way. 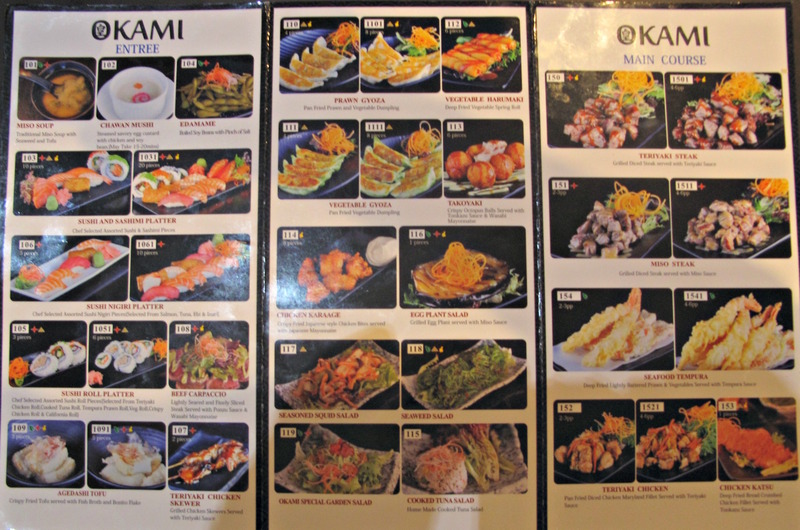 Ordering a la carte can be done at Okami, which is a dinner only eatery and also (perhaps temporarily) cash only. But judging by the number of patrons in the place on our Monday night and those I observed a few nights earlier on a packed-house Saturday, Okami Footscray is already a big hit based on its all-you-can-eat deal for $29.80 per person. So that’s what we do, too. The result is one of our more unusual dining experiences. This is not a buffet. 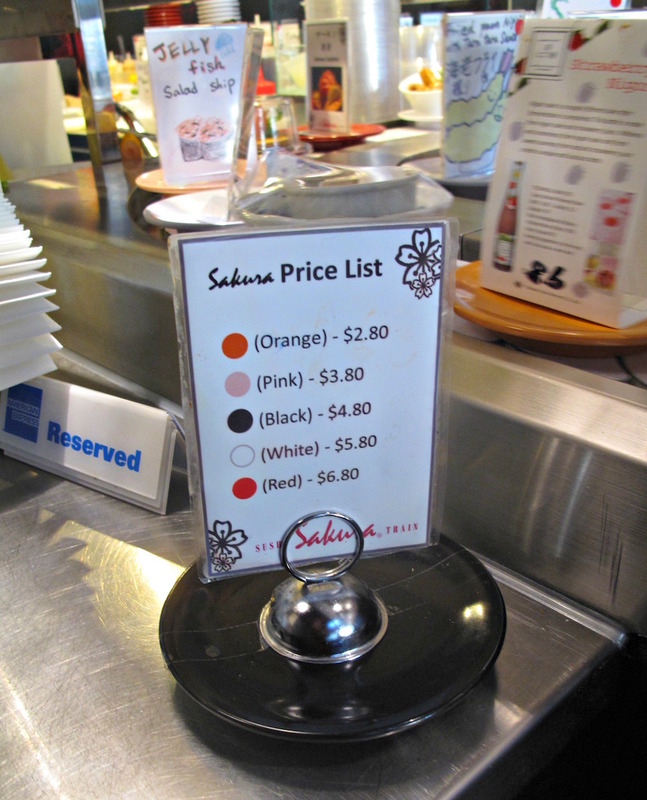 Instead, patrons order from a separate all-you-can-eat menu (see below) that nevertheless seems to feature just about everything the restaurant serves. 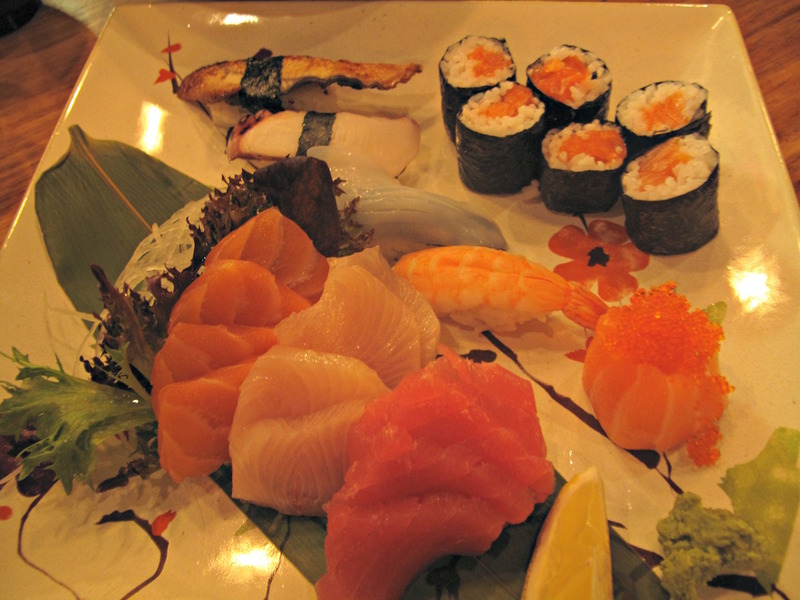 The line-up is long and features many well-known Japanese dishes ranging from starters through to ice-cream. Some of meatier and more substantial dishes are offered in two sizes, though pondering portion sizes seems odd in this context. 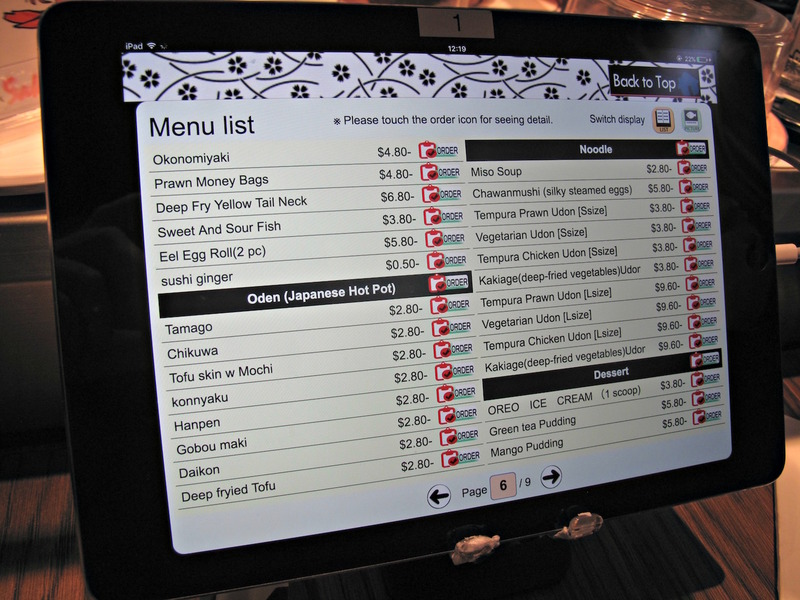 The first thing we want to know is: Once we’ve ordered, is that it – can we order no more? Our waitperson is ready for that: Yes, we can order as many times as we like. We end up ordering twice for savouries and once for sweets. Wow, I wonder how that works. If a table has been unable to consume all it has ordered, what do the staff do – wheel out the scales? It comes across as a bluff and a warning, one that surely would be very difficult to enforce. And if it was, who decides what the “extra” charges are – and on what basis? We order a stack of smaller dishes and larger ones to share that range from awful to delicious, largely progressing as per Bennie’s summation from not good to better to very good in order of arrival. And arrive our selections do – in such quick succession we struggle to keep up. Several of the garnishes and salady bits are overbearing and/or lame. 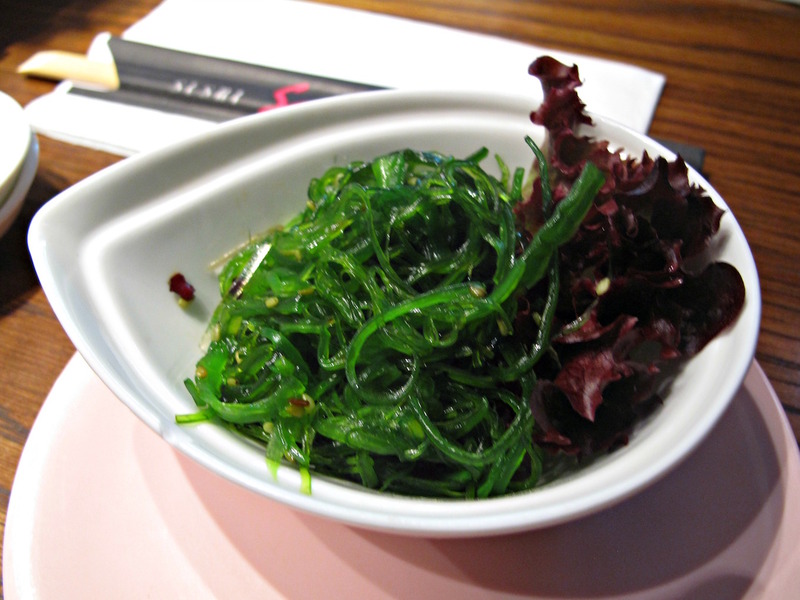 Seaweed salad has all the flavours we expect but is drab. 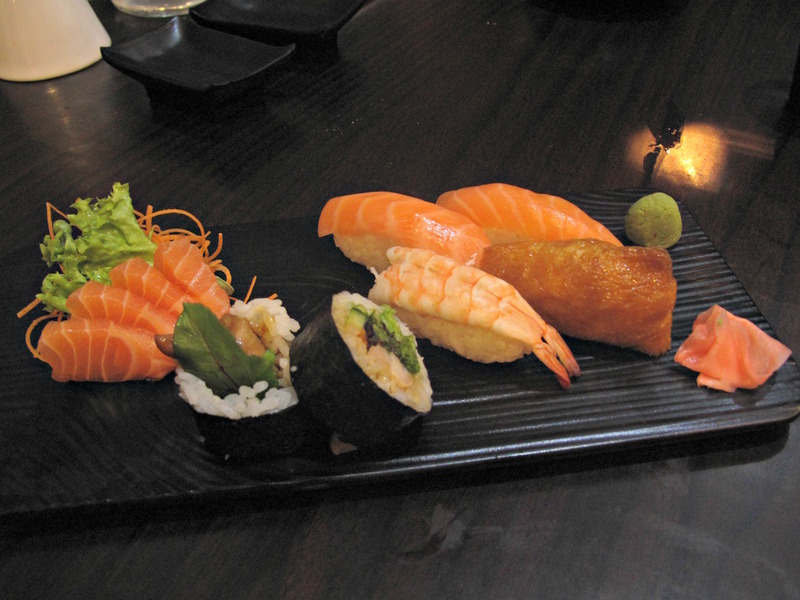 Sushi is edible but dull. 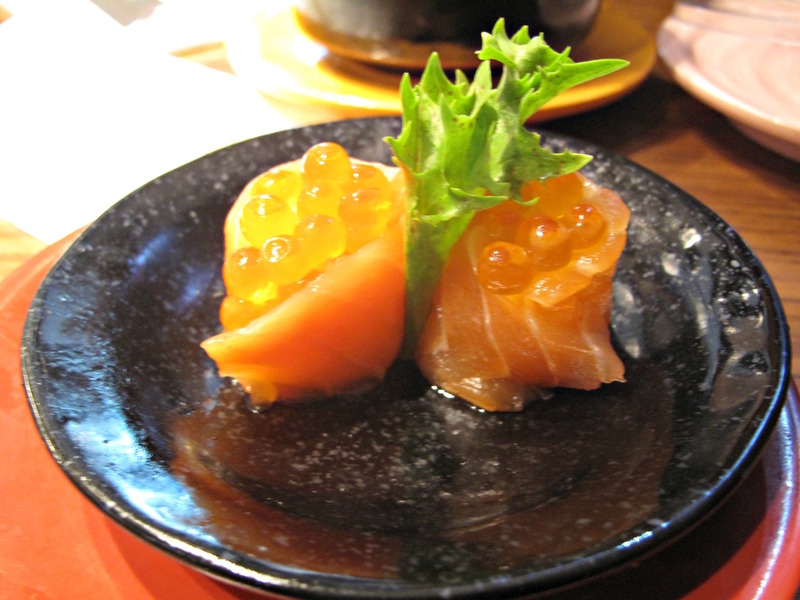 The nigiri is too hard and too cold, and I doubt very much if it has been made fresh for us. This is where Bennie’s “shopping centre” quip is most relevant. 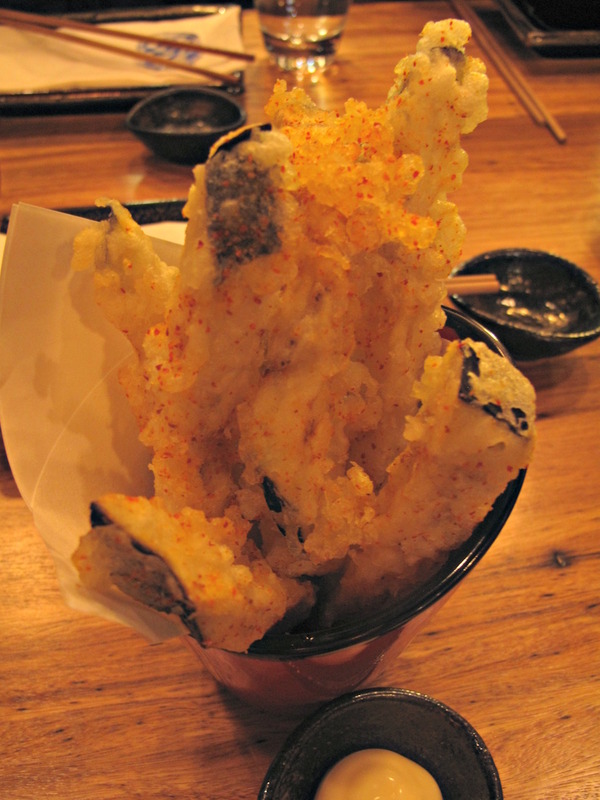 Though the same can be said of our seafood tempura. Freshly fried, yes, but lacklustre – a couple of vegetable pieces and a prawn for each of us. The eggplant salad is topped by a profusion of carrot strands. The cross-cut eggplant is a mix of crunchy and chewy but falls a long way short of the sort of melt-in-your-mouth sensations we expect of this dish. 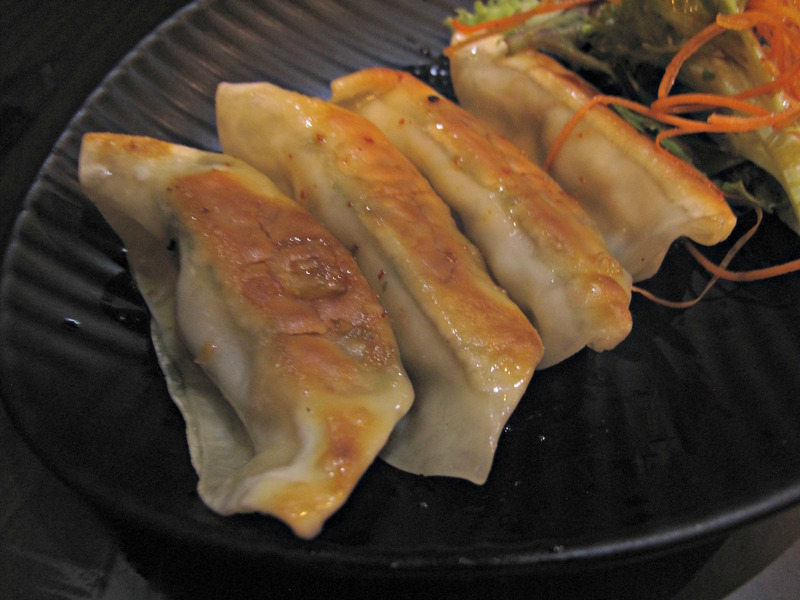 There is little that is overtly seafoodish about our prawn gyoza but they taste fine, though the outer edges of the pastry are too chewy. 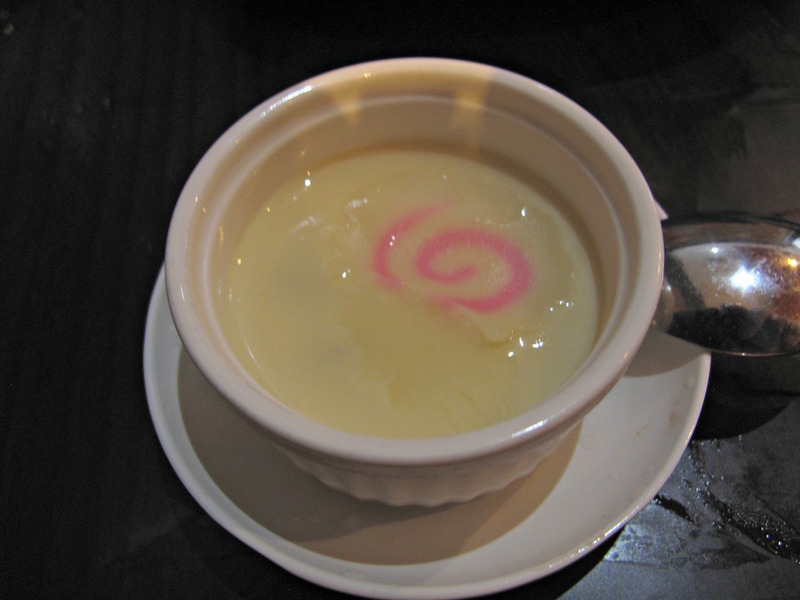 Chawan mushi is tiny and lacking any seafood, chicken or other – but the custard does have good flavour. Bedraggled leaves are draped over four pieces of beef carpaccio that taste wonderful – this marinated meat is Bennie’s favourite part of the night. Miso beef is fine and tender, though the miso sauce is not a an integrated part of the dish and the meat is a tad overcooked for my tastes. 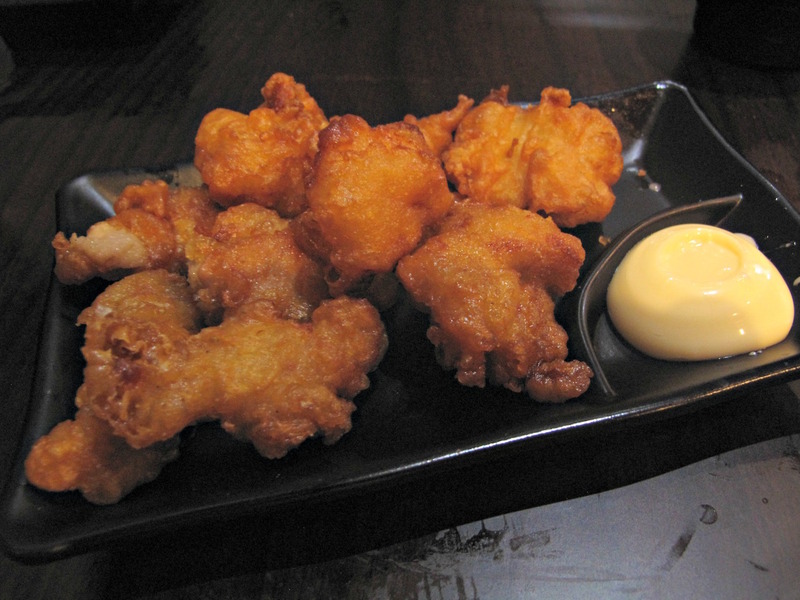 The batter on our chicken karaage is quite thick but overall this dish pleases us. It’s hot and fresh; the chicken is tender though not particularly flavoursome. The chicken katsu also delights. The coating is crisp and hot, and the tangy sauce makes the whole lot sing. Cold soba (buckwheat) noodles present as a mess but are lovely, the vibrant sesame dressing nicely abetting the pickled ginger and bean sprouts. 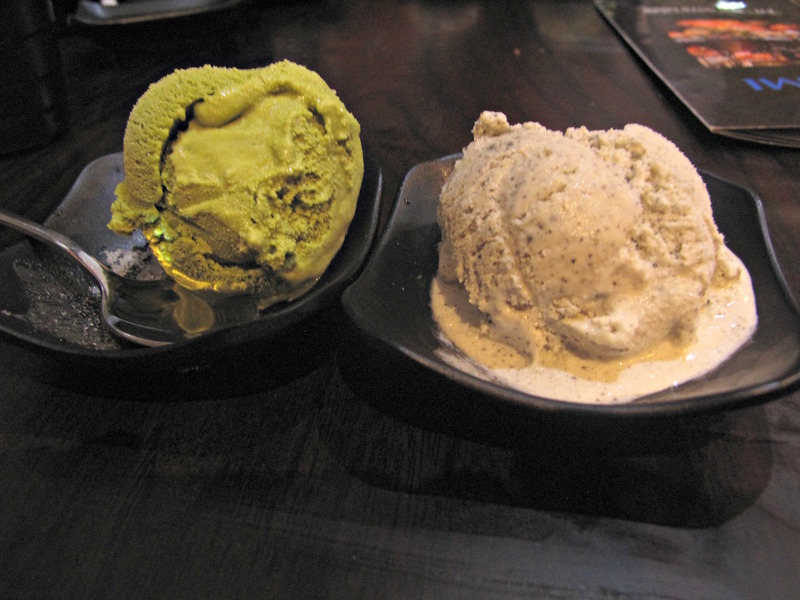 Green tea and black sesame ice-creams are both described on the menu as homemade. We know not if these are actually made in-house – but we really enjoy them anyway. Have we enjoyed our dinner? Have we got our money’s worth? Have we left any potentially surcharge-liable food? Long-time CTS readers will be aware that notions such as plating, presentation, decor, ambience, elegance, style and class don’t feature very high on our list of eating-out criteria. But experiencing the Okami all-you-can-eat deal makes us realise that when it comes to Japanese food, they have a big role to play – even for us. Okami mileage will vary depending on individual customer concerns. For most people, we suspect a satisfying time can be had through savvy ordering, even if the food often seems rushed and wanting more refinement. 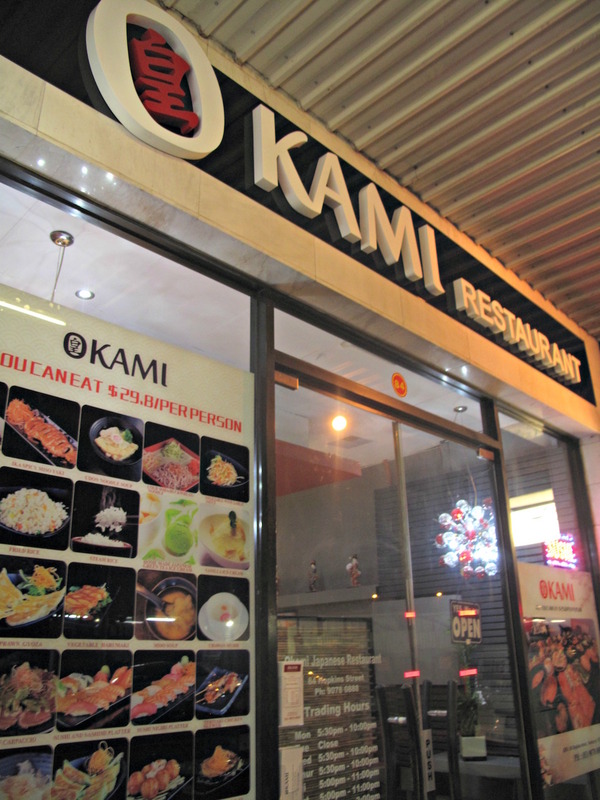 But there’s no doubt that for many, Okami will be a popular and regular feasting point. The Challis Street shops in Newport – off Mason Street – are the sort of strip we’ve been driving by for years just for a look every now and then to see if there’s anything cooking. On Challis Street, there never has been. Searz is a very fine local cafe. 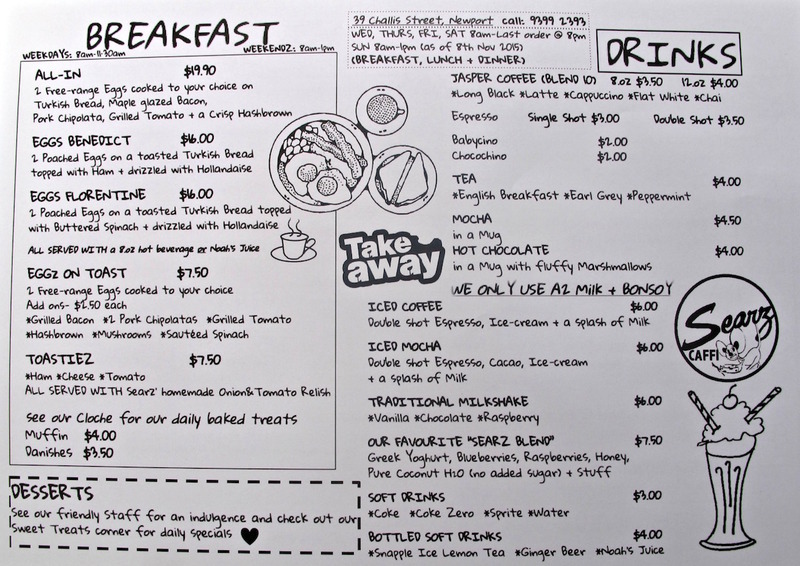 It serves (see menu below) standard-range cafe breakfasts and mains such as a caesar salad, a burrito bowl and fish ‘n’ chips. 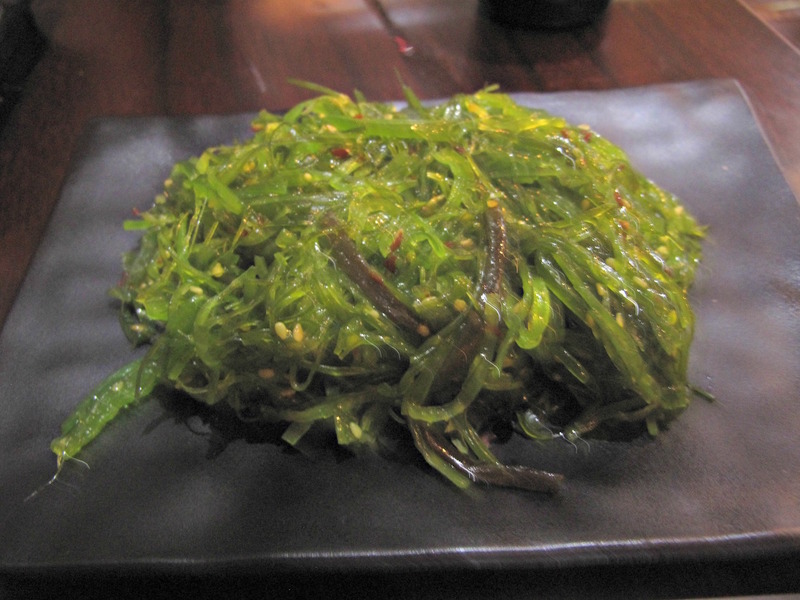 But running through the mains and the smaller (“tapas”) dishes are Japanese/Korean influences. We find our meals of two visits, the service and timing, the whole experience to be absolutely top notch. 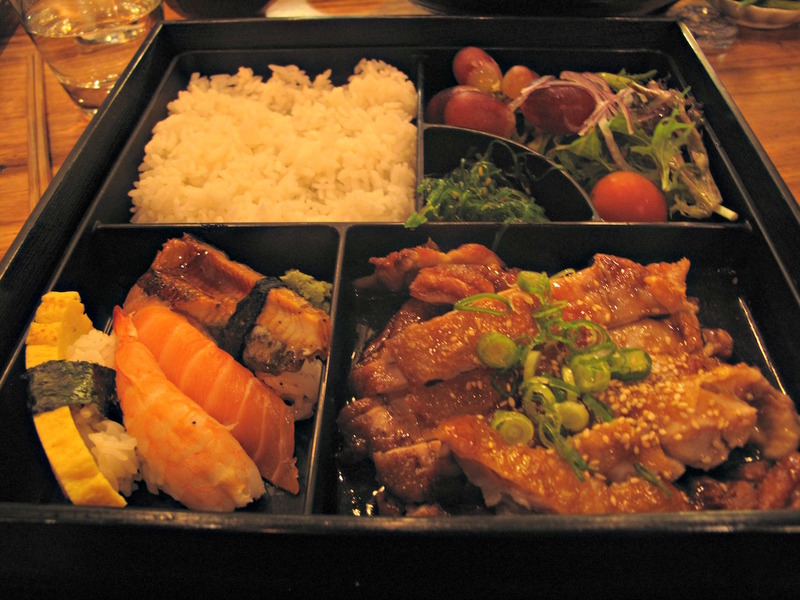 The bento special no doubt changes periodically. This version has fish three different ways – teriyaki salmon, battered cod with wasabi mayo and grilled gemfish with Korean chilli sauce. They are all delicious and beautifully cooked. There’s about half a dozen different kind of pickle, some of which I love, some of which I could do without. The house-made zucchini pickles are very fine. 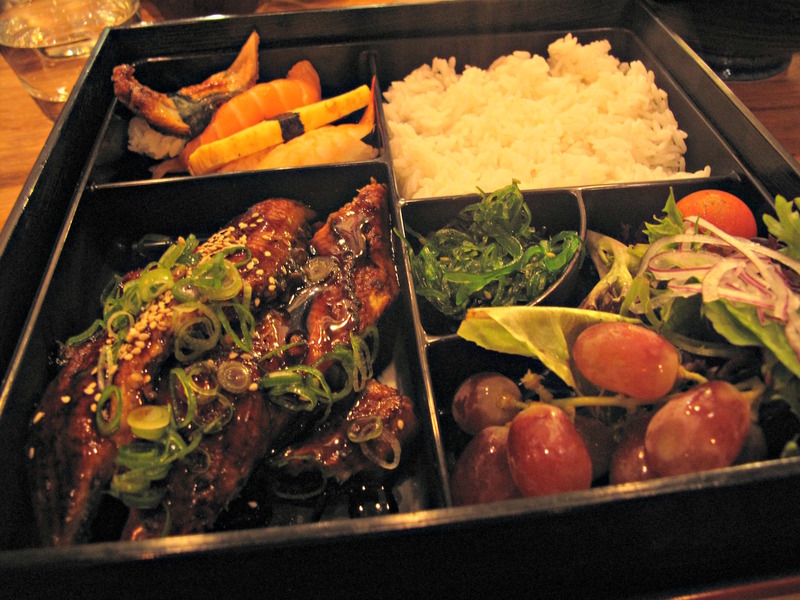 The bento mix is completed by good salad and rice. 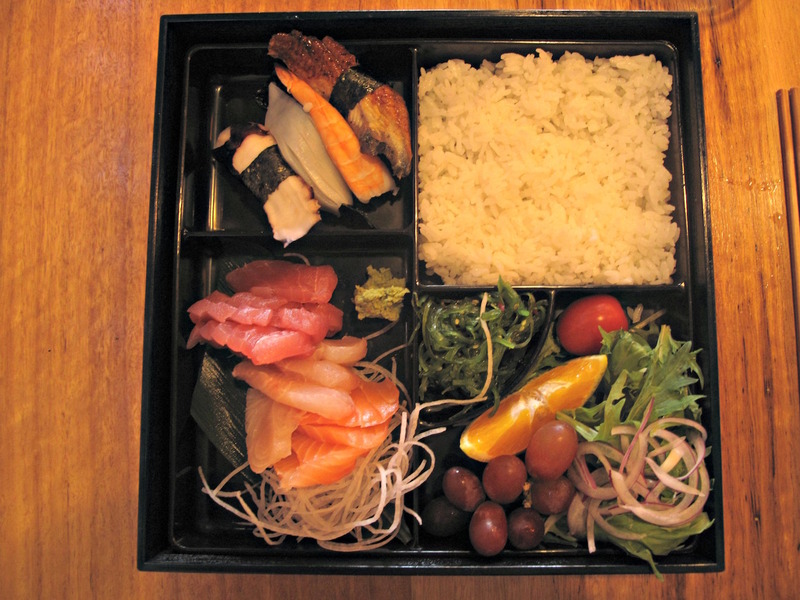 This bento, given the quality of the seafood involved, would be right at home in a bona fide Japanese restaurant. And the price, $18, is grand. Bennie’s bibimbap $16) is a doozy, too. 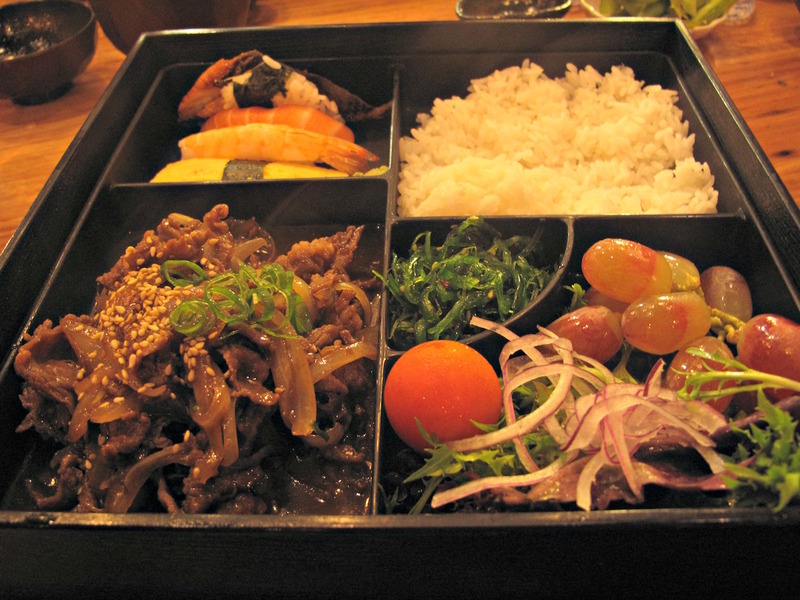 He loves the finely cooked beef and mushrooms, the salady bits, egg, enokis and more. 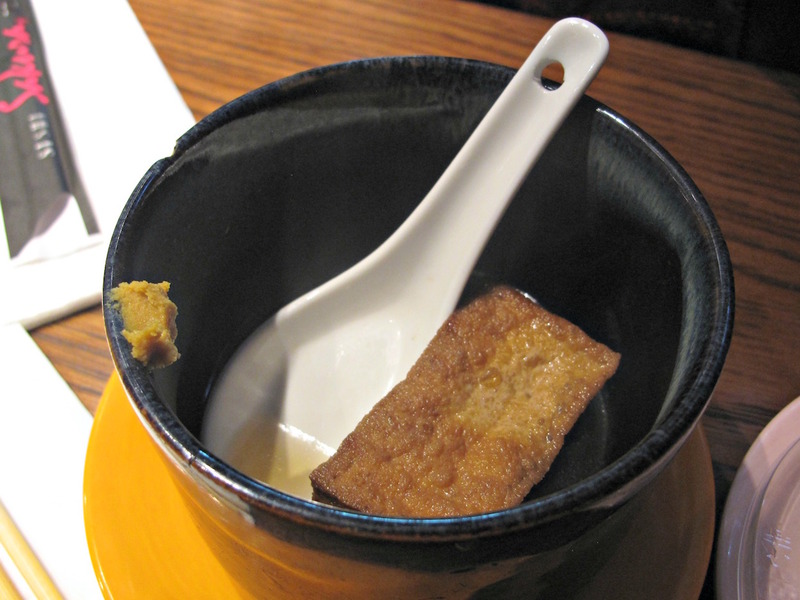 Unlike so many versions of this dish, this one has enough fluid action going on that it is a well-lubricated “sweet and spicy” treat right to the bottom of the bowl. But however fine his bibimbap, Bennie is openly envious of my “1010 burger” ($15) – and so he should be. Despite the burger burn-out factor of the past year or so, this strikes us as being a superb. It’s a 9/10 burger and chips combo that scrubs up much better than many of those to be had at more storied burger joints around Melbourne. There’s more of those zucchini pickles in there. And there’s “Searz aiolio”, tomato relish and the usual, standard salad accessories. 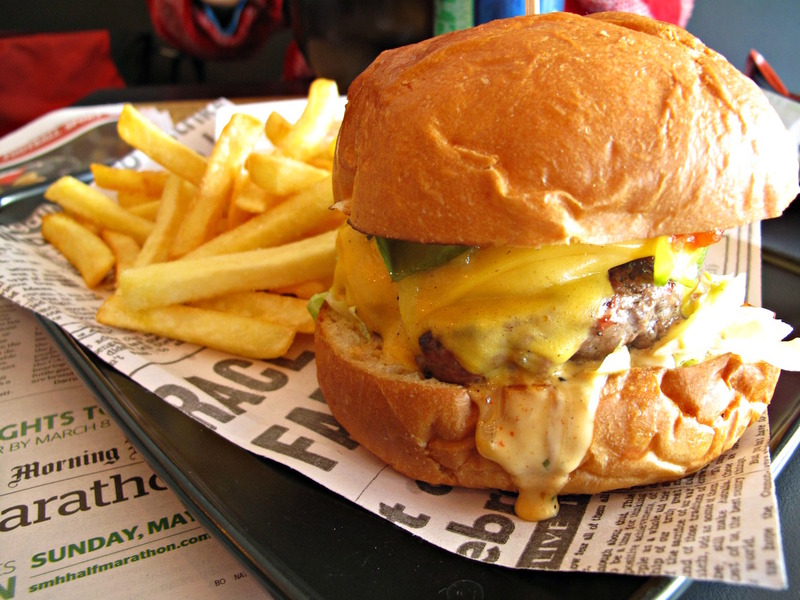 The meat patty is thick, juicy and screaming with beefy flavour. The chips are hot, fresh and very plentiful. 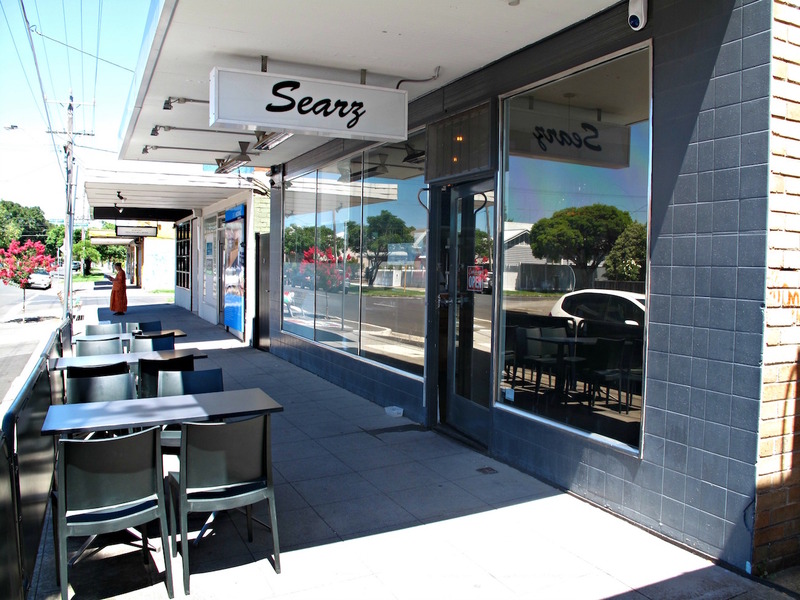 Searz is a prime example of everything a neighbourhood cafe should be. And the food, what we have enjoyed of it, rocks. The dinner hour for CTS and, we suspect, many other bloggers and foodies is somewhere between 6pm and 7pm. For some, this is the legacy of having – or having had – very young children. Perhaps “available light” has something to do with it. I’ve even heard of bloggers who only do lunch for that very reason! But a big part of it for us is … we’re hungry for food, hungry for adventure. So 8pm seems way too late, especially on a work/school night. The Mediterranean post-sietsa 9pm or later? Early evening dining also means missing rush hour and always getting a seat. In the case of tiny Ebi in West Footcray, that latter point is no small thing. 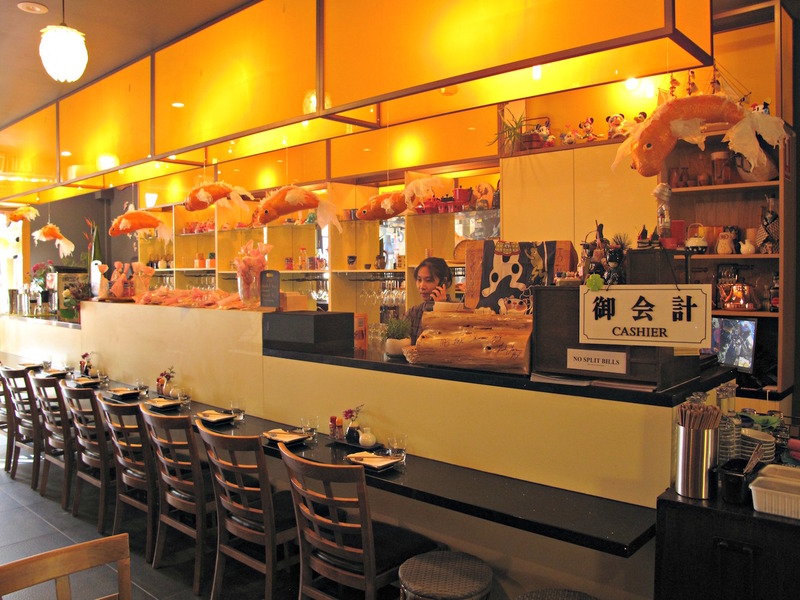 The genial, chrome-domed Ebi host the proceeds to count off a long list of regulars with whom he is on first-name terms and their invariable choices – “fish three ways”, vegetable balls, udon, bento and so it goes.